Summer is already upon us (or at least the date says so depending on where you live). Many might take some time off to relax and recharge batteries, and if you’re one of those lucky people, please enjoy your well-deserved vacation. For those who won’t or can’t, maybe you have some CraftCMS projects in the works. If that’s the case and you’re looking to boost the entry searching capabilities of your control panel, why not give Zenbu for Craft a try? Zenbu for Craft is substantially discounted for the rest of the summer (that means up to the end of August). Any questions about Zenbu for Craft? Feel free to contact Zenbu Studio and I’ll do my best to help you out. Zenbustudio.com now also uses https on all URLs under the domain, in addition to the previously secure cart and purchase sections. This is to increase security even further while you browse the site, not worry whether the page is http or https, and for SEO reasons, given that some search engines now value https sites higher than http. As always, if you encounter any issues, feel free to contact me. Today, three of Zenbu Studio’s add-ons were updated, two of which with new features. The more boring of the three updates, but still important. A small maintenance update which fixes a number of issues especially related to EE 2.7+. If you happen to encounter errors (hopefully you won’t! ), those are also a bit more verbal now. 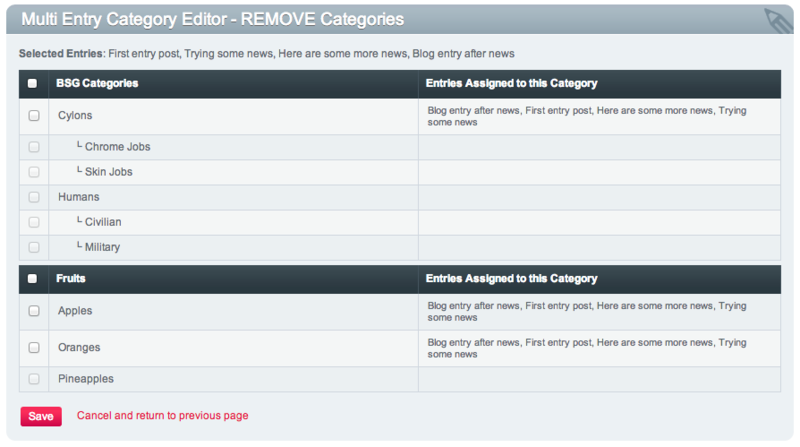 Ability to edit an entry is now based on the EE permissions for the user. Requires Zenbu 1.8.5+. Fieldtypes can be individually disabled in settings section: Fieldtype X is causing problems but you still want to use Henshu? Just disable that fieldtype. Dialog sizes can be set for each fieldtype in settings section: Want more height/width on Fieldtype X’s modal popup window? You can now set that to the height you want in Henshu’s settings. Permissions section: Control which member group has access to Henshu and its settings. For removing categories, categories with no selected entries associated are greyed out. Less guesswork for which categories to select. A convenient “Cancel” link to go back in case you change your mind. At last Pages URI are displayed, as is, in their own column in Zenbu. They can also be searched on and ordered. Great for managing page-based content! Display Settings now has a button to temporarily show/hide columns that are set to not be displayed in Zenbu, leaving only columns set to be displayed as visible. Very useful if you need to get rid of visual noise to quickly view your visible fields. It makes shuffling the order of those visible columns around a lot easier as well. I would also like to take the time to wish everyone a wonderful Christmas and Happy Holidays. Thank you for all your support during the year, and please take some time to get some rest. It’s as important as work!